Another amazing dish from Chelsea Winter’s blog. 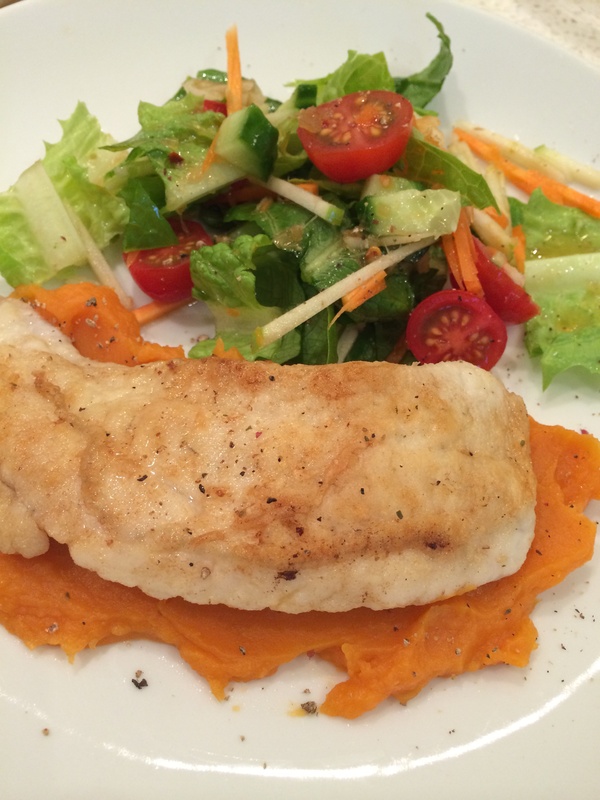 The buttery snapper with the sweet kumara against the salty spicy salad is so yum. Salad dressing leftover from her vietnamese salad used for the salad. None of the kids are hungry tonight because they’ve had the bacon rolls with salad already, so there is going to be a lot of leftovers tonight. Made the kumara purée in the tmx using the pumpkin purée method in the above link. Chop the peeled kumara roughly and steam 25 mins, Varoma temp, speed 2. Pop steamed kumara into the TM bowl, add salt and pepper and blend at speed 5 for a few seconds, then blend speed 10 a few seconds. Added a bit if boiling water to thin slightly.